The bright pink vodka known as UV Lemonade is a ton of fun to mix into cocktails. Its sweet-tart taste is perfectly represented in UV's pink flamingo recipe, a cocktail that is reminiscent of the popular cosmopolitan. This particular vodka has a pink lemonade flavor, which is rather unique in the world of flavored vodkas. It pairs wonderfully with cranberry juice and a hint of triple sec, creating a lovely little cocktail that you're sure to love. 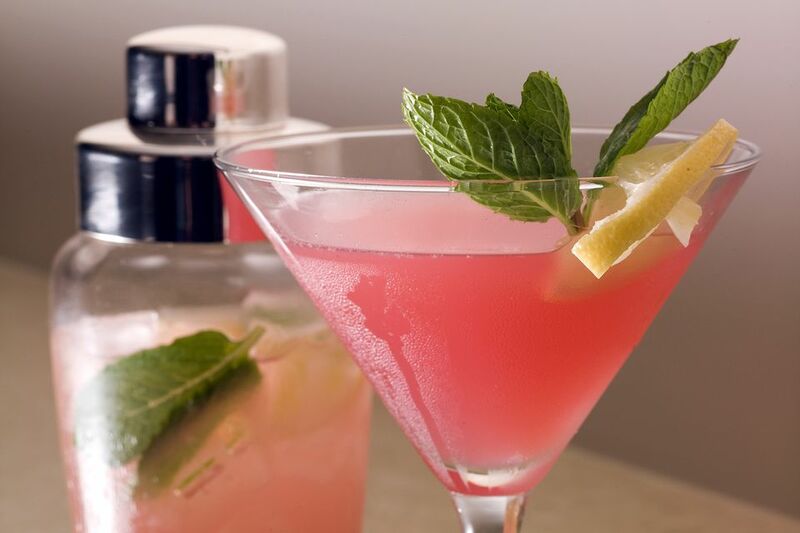 It's a flirty pink martini that's a fabulous choice for a party, especially if it has a pink or summer theme. In a cocktail shaker filled with ice, pour all of the ingredients. UV Lemonade should be readily available at most liquor stores. Just look for the brand's other brightly colored vodkas, including the famous UV Blue. There are other lemonade-flavored vodkas available now, though UV was one of the first. If you're looking for a substitute, try Deep Eddy Lemon or Svedka Strawberry Lemonade. Neither is bright pink and the flavor is not quite the same, but they will make a nice cocktail. Adding a splash of a lightly flavored soda (e.g., lemon-lime, ginger ale) can give this martini a nice fizz and make it even more refreshing. You could also go with a sparkling lemonade or a sparkling Italian soda. This cocktail is also quite pleasant when served a little taller and on the rocks. The easiest way to increase the volume is to double up on both the juice and triple sec, adding a sparkling element (even a rosé wine) if you like. Switch to a double old-fashioned or highball glass or enjoy it in an ice-filled Mason jar. As with the cosmo, feel free to adjust the cranberry juice and triple sec to suit your taste. The recommended amounts will create a sweet, fruity drink. If you reverse the two ingredients—pour 1 ounce triple sec and just a splash of cranberry—it will have a slightly drier flavor. There are quite a few cocktails that take on the pink flamingo name. One of the more common pink flamingos is a juicy vodka highball that's more like an enhanced screwdriver, complete with a dash of sloe gin. How Strong Is a UV Pink Flamingo? Like most flavored vodkas, UV Lemonade is bottled a little lower than normal, at 30 percent ABV (60 proof). That—and all the cranberry juice—makes this a pleasantly light cocktail. Once mixed up, its alcohol content will be in the 17 percent ABV (34 proof) range, which is slightly stronger than the average wine.